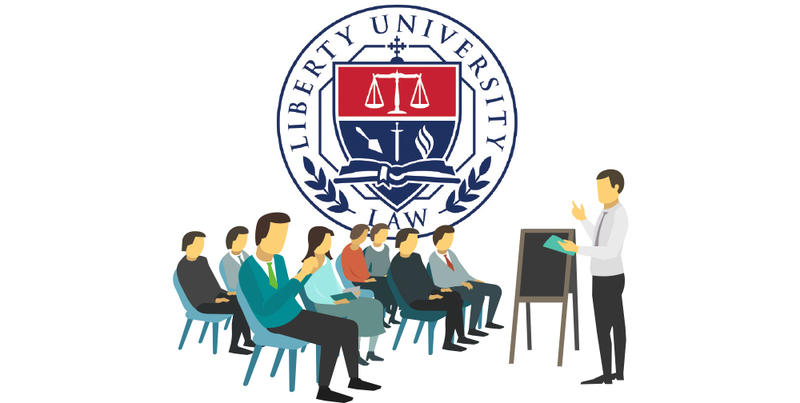 For a school historically known for its focus on first amendment free speech and freedom of religion, Liberty University School of Law’s newly formed intellectual property law clinic (IP clinic) may, to some, appear to come out of left field. 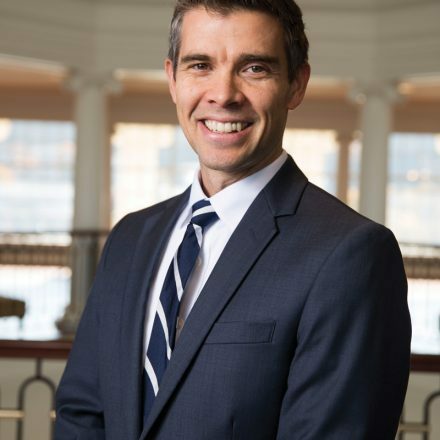 However, if you’ve spent any time with Liberty University School of Law dean B. Keith Faulkner since his arrival, you know this new clinic falls directly in line with his vision for the law school’s future. “While we are a young law school, Liberty Law has developed an excellent, national reputation in the realm of constitutional law. My goal is to build upon this great tradition and expand our program into new areas of law that offer a broader set of opportunities for our graduates and have a significant impact on our community,” said Faulkner. Following the launch of last year’s pro bono clinical partnership with the Virginia Legal Aid Society, the IP clinic is Liberty Law’s second experiential learning opportunity for its students to provide direct legal services to the greater Lynchburg community. Impressively, Liberty Law’s IP clinic is only the second such clinic approved by the United States Patent and Trademark Office (USPTO) in Virginia. When discussing the IP clinic with the community, people often mistakenly believe only large companies have a need for an IP lawyer; but the reality is many, if not most, small businesses and entrepreneurs need an IP lawyer—they just don’t know it. Speaking with Andrew P. Connors, IP clinic director and managing partner at Connors & Brenke, is an eye-opening experience that leaves many with the distinct impression their business is not as secure or protected as they thought. “Many people mistakenly think with things like websites, ‘because I paid for it, I own it’ which may technically be true, but owning something and preventing someone else from using it is an entirely different thing.” Accordingly, one of the purposes of the clinic is to counsel clients on IP issues they don’t even realize they have and help protect their organizations. In the minds of many, IP work is often associated with tech companies or manufacturers filing for patents or trademarks for new products and technology. This mistaken understanding leads many small business owners and entrepreneurs to conclude that because they are not building the newest smartphone or launching a global brand they have no IP to protect. For these businesses and organizations, nothing could be further from the truth. While the clinic is staffed by students, not full-time IP attorneys, because it is USPTO certified, its filings get an expedited review which greatly reduces the amount of time it usually takes to protect an organization’s IP. According to Connors, the clinic is actively seeking new clients for the spring semester. Though the clinic was formed to serve three types of businesses (start-ups, veteran-owned businesses, and Christian ministries) clinic leaders are always interested in unique businesses and challenges to tackle. The launch of this clinic is a game changer for Lynchburg and Central Virginia that provides a perfect “win-win” situation for both law students and local businesses. Businesses or other persons interested in becoming a client of the clinic may email ipclinic@liberty.edu for more information and eligibility requirements. The clinic does not represent clients in litigation or other disputes, nor does it draft or prosecute patent applications with the USPTO. Qualifying business, ministries, and other persons work with the clinic with the intent of eventually “graduating” from the program and establishing a paid relationship with a for-profit law firm. The clinic reserves the right to reject representation for any reason or no reason at all and may decline representation on subject matter inconsistent with Liberty University’s Christian mission. PreviousSentry Equipment & Erectors, Inc.
Tim Spaulding, Esq. is the Associate Dean for External Relations at Liberty University School of Law. He holds a Juris Doctor degree from Regent University and a Bachelor of Science degree from Roberts Wesleyan College.